Baby boomers – the first generation tasked with the responsibility of planning for and funding their golden years. This generation, which includes those born between 1946 and 1964, have entered and continue to enter into retirement. As they make this financial transition into retirement, many are learning that they have made some of the most typical retirement mistakes. Mistake #1: Believing Estate Planning is Only for the Wealthy: While baby boomers are not the only ones guilty of this mistake, the common misconception is that only the ultra-rich need to have an estate plan prepared. By some reports, about half of Americans between the ages of 55 and 64 do not even have a Will. Because estate planning encompasses not only protection of your assets (regardless of how much you’ve accumulated), but also your incapacity planning and healthcare choices, the lack of planning can leave you in a dire situation should any medical issues arise. Mistake #2: Checklist Mentality: For many, estate planning is just the preparation of legal documents. Once the documents are signed, the client crosses off the item from his or her to-do list and moves on. But, your circumstances may (and usually will) change. And the likelihood of this happening increases the longer time goes by. To ensure your estate planning objectives are carried out and that you plan will actually work by minimizing family conflict and avoid court intervention, you should update your estate plan every time a major (or minor) life change happens, such as retirement. Although many baby boomers have made these mistakes, you do not have to be one of them. As a Personal Family Lawyer®, I can give you the peace of mind knowing you have a plan in place that will work for you and your family in the event of incapacity and at death. I can teach you some estate planning options and you can be sure that you and your family are protected from these common mistakes. But isn’t 18 far too young for a child to receive an inheritance of any size? Walker would have been far better advised to leave his assets in an ongoing trust, with financial education built in to give his daughter her best shot at a life well lived, even without him in the picture. Most inheritors, like lottery winners, are not properly educated about what to do after receiving an inheritance, so they often lose their inheritance within just a few years, even when it’s millions. While purchasing life insurance may seem pretty straightforward, it’s actually quite complex, especially with so many different types available. In order to offer some clarity on the different types of policies out there, we’ve broken down the most popular kinds of life insurance here and discussed the pros and cons that come with each one. Term life insurance is the simplest—and typically least expensive—type of coverage. Term policies are purchased for a set period of time (the term), and if you die during that time, your beneficiary is paid the death benefit. Terms can vary widely—10, 15, 25, 30 years or longer—and if it’s a Level Term policy, the premium and death benefit remain the same throughout the duration. If you survive the term and want to retain coverage, you must re-qualify for a policy at your new age and health status. In addition to Level Term, other variations include “Annual Renewable Term,” in which the death benefit is unchanged throughout the term, but the insurance is renewed annually, often with an increase in premiums. With a “Decreasing Term” policy, the death benefits decrease each year until they reach zero, but the premium remains the same. Decreasing Term life insurance is often used to cover a mortgage, student loan, or other long-term debt, so the policy expires at the time the mortgage/debt is paid off. Whole life, or permanent, insurance pays a death benefit whenever you die, no matter how long you live. With a whole life policy, both the death benefit and premium stay the same for your entire life span. 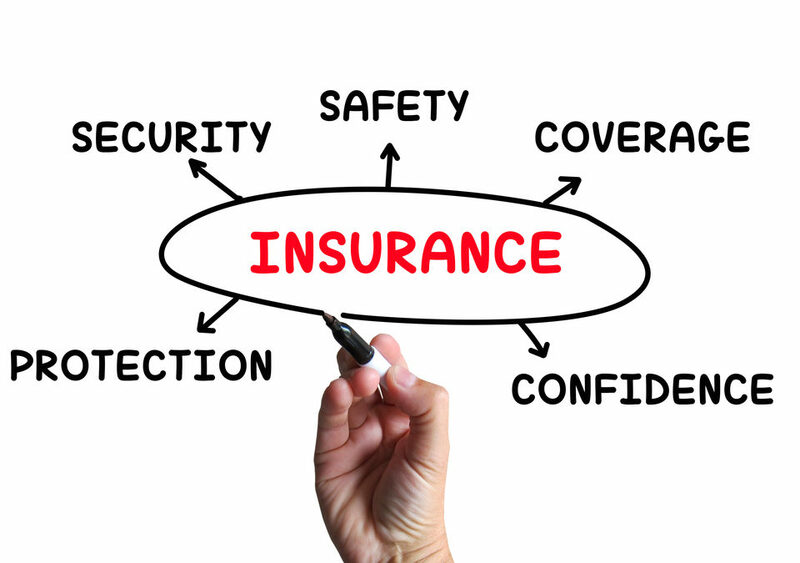 However, depending on when you purchase coverage, the premium can vary widely depending on how much the policy’s death benefit is worth. So, for example, purchasing whole life in your senior years can be extremely expensive and possibly not even available at all. What’s more, your whole life policy premiums will be much higher than your term life insurance premiums because the insurance company knows the policy will pay out when you die, no matter how long you live. Indeed, the premium for whole life policies can be among the most costly of all types of life insurance coverage, including similar types of “permanent” policies discussed below. This is simply the price paid for the guaranteed death benefit and a level premium. Universal life is a variation on whole life—it covers you for your entire lifespan, but also contains a “cash-value” component. Rather than putting 100% of your premium toward your death benefit, part of your premium is put into a separate cash-value account that earns interest and is tax-deferred. The insurance company invests the cash-value funds in various investment vehicles of its choice, and provided the market performs well, you can access those extra funds for things like paying the policy’s premiums, paying off debt, or supplementing your later-in-life fixed income. Some insurance companies will even let you take tax-free loans against the policy’s cash value. That said, the cash-value account is set at an interest rate that can adjust to reflect the market’s current rates, so if the interest rate of the cash value account decreases to the minimum rate, your premium would need to increase to offset the account’s reduced value. While universal life premiums are typically more costly than term policies, universal life also allows you to adjust the death benefit within certain guidelines. This added flexibility allows you to choose how much of one’s premium funds will go toward the death benefit and how much goes into the cash value, offering you the ability to adjust the death benefit as your financial circumstances change. Variable universal life insurance is quite similar to normal universal life except that variable policies allow you to choose how your cash-value funds are invested, rather than the insurance company. This offers you more control over the cash-value investment and potentially higher returns. However, if the invested cash-value funds perform poorly or the market tanks, your policy could be at risk. Given a major drop in the cash-value account investments, you may have to pay increased premiums just to keep the policy in force. Moreover, the fees and expenses associated with the cash value investments for variable policies may be much higher than you would pay if you simply invested the funds on your own. Because understanding life insurance can be confusing, it’s best to get the advice of a trusted advisor before you meet with an insurance agent, who might try to talk you into more coverage than you need in order to earn a larger commission. By sitting down with me as your Personal Family Lawyer®, I can work with you and your insurance advisors to offer truly unbiased advice about which policy type is best for your family and life circumstances. Contact me today, and I’ll walk you step-by-step through the different life insurance options and help you with your other legal, financial, and tax decisions to ensure your family is planned for and protected no matter what happens. This article is a service of Tara Cheever, Personal Family Lawyer®. I don’t just draft documents; I ensure you make informed and empowered decisions about life and death, for yourself and the people you love. That’s why I offer a Family Wealth Planning Session, ™ during which you will get more financially organized than you’ve ever been before, and make all the best choices for the people you love. You can begin by calling my office today to schedule a Family Wealth Planning Session and mention this article to find out how to get this $750 session at no charge.